The study of history is the most irnportant of all studies, and no one can be considered as accomplished or educated unless he is conversant, at least, with all leading events which have occurred within the chronology of the human race. It is a study, however, which has always been attended with peculiar difficulties. The difficulty of remembering dates is one which every reader of history has experienced; and even the student who has spent much time in close study, to make himself acquainted with the past history of the world, finds that, after all his labor, his memory is able to retain but a very few of the “millions of facts” which his industry may have gleaned, and that the facts remembered lie in his mind in a confused state, without that arrangement as to dates which is necessary to a clear conception of their sequence and bearing upon each other. This book is a powerful and thrilling recital of the most romantic and dramatic incidents to be found on record, told in the simplest, most graphic, and entertaining form. Not a history of the Reformation, nor a series of complete biographic of the Reformers, it seeks but to call attention to the most vital principles of Protestantism, and to impress them upon the mind of the reader by the relation of some of the most striking instances of Protestant martyrdom. The precious heritage which we enjoy of Gospel truth and religious freedom was won for us by our fathers with blood and suffering. In defense of a free Bible, they went to the stake, gladly enduring persecution and death, that those who survived or came after them might enjoy the rights purchased with their blood. It is fitting, then, that we should not forget those to whom we owe so much, but that the story of their lives should ever be kept in grateful remembrance. Why should not we dwell upon the memory of the heroes of the Church; the brave and patient Christian men and women who died for our religious freedom; who gave us the Bible at the cost of their lives, and brought Christ back to us as our personal Savior and friend? A nobler, sweeter, and more solemn story is not to be found in all the range of history. The work is perfectly free from sectarian bias. The cause is that of Christ and His Church, a cause dear to every Christian heart, and no effort has been made to discuss or advocate the claims of any denomination. The book is one that cannot fail to win its way into every Christian family. 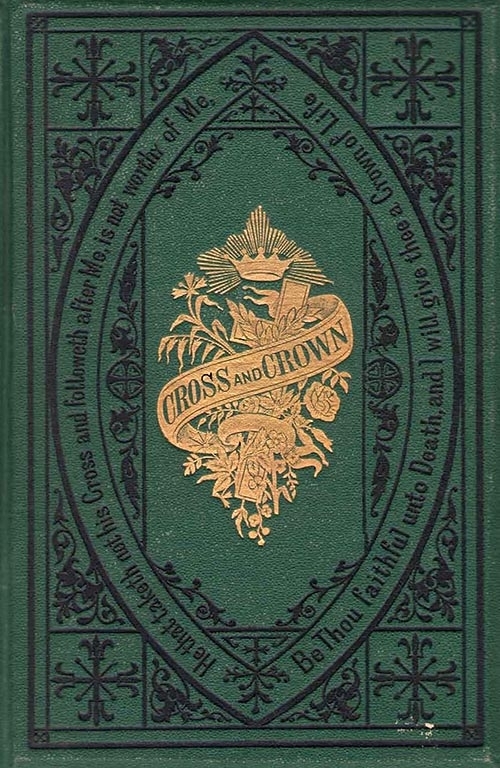 Parents will be glad to see it in the hands of their children: for while entertaining as the best of novels so popular with the young, all its influence is for good, pointing out to them examples of Christian heroism worthy of the most persistent imitation. 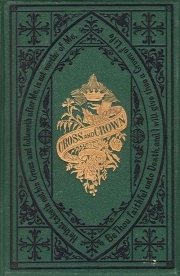 Download the book “Cross and Crown” by James D. McCabe, Jr.